At canal milepost 133, the Cacapon Junction Hiker Biker campsite is one of numerous facilities in the Chesapeake and Ohio Canal National Historical Park devoted to hike-in or bike-in camping. These facilities provide primitive campsites, drinking water, and toilets. 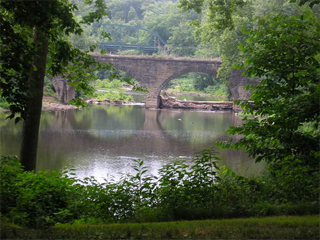 Cacapon Junction also has access to the Potomac River for canoes and kayaks from Deneen Road off Seavolt Road in Hancock.